Every year, thousands of animals are euthanized due to overcrowding in shelters. That was supposed to be the fate for the seven/eight-month-old lab/pit bull mix named Rudolph, but God had other plans for the pup. The staff at an Oklahoma animal shelter chose Rudolph to be one of the animals that were euthanized, because, like many shelters, the shelter was full. Rudolph was injected with the drugs to be put to sleep, but when the veterinarian came to check on him, he was still alive. It was a miracle, a sign that it wasn’t his time yet. 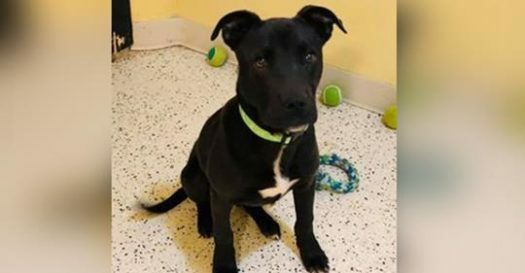 After this incident, King’s Harvest Pet Rescue and No Kill Shelter, located in Davenport, Iowa, took the pup and within a few days in their care, Rudolph found his forever home.